War entered my childhood world not with the blasts of rockets and bombs but with my father's footsteps as he walked through the hallway, passing my bedroom toward his. I heard the door open and shut with a soft click. I slid off my bed, careful not to wake Radana in her crib, and snuck out of my room. I pressed my ear to the door and listened. "Are you all right?" Mama sounded concerned. Each day before dawn, Papa would go out for a solitary stroll, and returning an hour or so later, he would bring back with him the sights and sounds of the city, from which would emerge the poems he read aloud to me. This morning, though, it seemed he came back as soon as he'd stepped out, for dawn had just arrived and the feel of night had yet to dissipate. Silence trailed his every step like the remnant of a dream long after waking. I imagined him lying next to Mama now, his eyes closed as he listened to her voice, the comfort it gave him amidst the clamor of his own thoughts. Tata tells Raami, "The problem with being seven - I remember myself at that age - is that you're aware of so much, and yet you understand so little. So you imagine the worst." Discuss Raami's impressions as a seven-year-old. How much is she aware of, and how much (or little) does she understand? Here are some of the comments posted about In the Shadow of the Banyan. Raami is the perfect vehicle for telling the horrific tale of Cambodia's genocide. Through her voice, Rattner is able to whittle down a complex multi-layered story to its basic essence. This is not an epic Killing Fields kind of a story. But in detailing the effects of the genocide on one family and by narrating it through one child's perspective, the effect is just as searing. Largely autobiographical in nature, the novel must have served as a cathartic release for Rattner who has said she painted over only some of the details in the story. Like Raami, Rattner too suffered the after-effects of polio, although unlike Raami, she was five when the Khmer Rouge took over Phnom Penh. Rattner has said she "wanted to articulate something more universal, more indicative... of the human experience - our struggle to hang on to life, our desire to live, even in the most awful circumstances." That Raami triumphs above such horrific tragedy, spirit largely intact, is proof that humanity wins in the end. (Reviewed by Poornima Apte). Starred Review. A hauntingly powerful novel imbued with... the devastation of monumental loss and the spirit of survival. Starred Review. 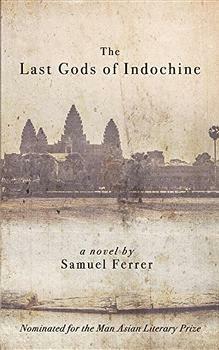 Often lyrical, sometimes a bit ponderous: a painful, personal record of Cambodia's holocaust. This tale of physical and emotional adversity grips readers without delving into the graphic nature of the violence that occurred at the time... Knowing that the story was culled from Ratner's experiences as a child brings a sense of immediacy to this heartrending novel likely to be appreciated by many readers. This is a masterpiece that takes us to the highs and lows of what human beings can do in this life, and it leaves us, correspondingly, both humbled and ennobled. 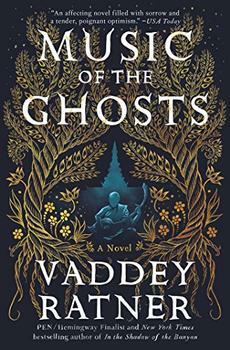 In a book rich with Buddhist teachings, the mythology of Cambodia, and the natural beauty of her world, Ratner weaves a moving tribute not only to her father and family but to victims of all genocides - past, present, and future. 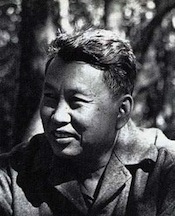 Before the Khmer Rouge (pronounced ki-mer roouze, effectively translating as Red Cambodians) wreaked havoc all over Cambodia and killed approximately one quarter of the country's seven million people, they were mostly a fringe communist guerrilla group operating in the jungles in the north of the country. Early in the 70s, then-Prince Norodom Sihanouk was deposed in a coup and, to retain support, he decided to seek the Khmer Rouge's help. This one move granted the group legitimacy and soon the Khmer Rouge, under the leadership of Pol Pot, became fairly popular in the villages and then slowly made their way into the cities.